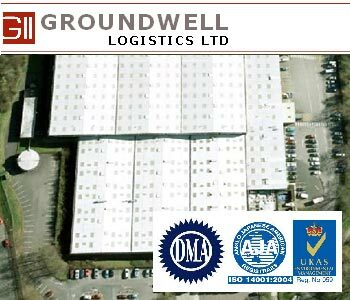 Groundwell Logistics has over 40 years experience in the warehousing and fulfilment business and offers its services to a diverse range of customers. As the primary fulfilment operation of Book Club Associates, the extensive facility has picked and packed millions of orders of books, DVDs, CDs and other categories of merchandise ready for delivery direct to consumers in the UK and Europe. The Company is based in Swindon, Wiltshire. With extensive warehousing and fulfilment facilities and experienced staff, the company is able to offer tailored solutions to a wide range of businesses. Each solution is designed to be cost effective and efficient, helping clients to achieve higher levels of customer satisfaction and retention through fast, accurate and reliable processing of their orders. To provide that tailored solution to their diverse range of clients Groundwell Logistics has chosen PRIAM to replace SAP and Manhattan as their core fulfillment systems. Ideally suited to the multi-client fulfillment scenario PRIAM offers a huge range of functionality for a wide range of markets including fashion, music and book publishing, electrical and electronic products, charities, membership, brochure fulfillment, mobile phone and many more. PRIAM offers a sophisticated CRM (customer relationship management) and call centre management system. This is integrated with database marketing allowing full sales prospecting and automated customer services in a multi-client environment. PRIAM also offers a fully integrated e-commerce and content management solution. This allows clients to take advantage of the full range of multi-channel processing options that PRIAM and Groundwell Logistics provides. Groundwell Logistics and PRIAM Software provide a winning combination. Glyn Carvill Commercial Director of PRIAM said "Replacing well known systems such as SAP and Manhattan demonstrates that not only is PRIAM a serious contender in the large scale ERP solutions market place but also highly attractive in terms of rapid return on investment." "The PRIAM ERP system provides Groundwell Logistics with truly state of the art fulfillment facilities. This gives us a huge competitive advantage over other fulfillment companies who do not have the experience, warehousing expertise and IT infrastructure of Groundwell Logistics." Tony Day, Groundwell Managing Director.